KVPY Eligibility Criteria 2019 - Kishore Vaigyanik Protsahan Yojana also called KVPY is a national level exam and eligibility criteria of KVPY 2019 incorporate the minimum qualification requirements. KVPY is conducted by Indian Institute of Science (IISc), Bangalore to provide scholarship to science students. So, one will have to fulfil KVPY eligibility criteria 2019 as mentioned by IISc, to apply for the exam. KVPY exam is held for three streams: SA, SX and SB and the eligibility criteria of KVPY for these three streams is different which is explained below. As per KVPY 2019 eligibility criteria, candidates studying in 11th, 12th class in science and 1st year of undergraduate program in basic science are eligible to appear for KVPY 2019 in SA, SX and SB streams respectively. 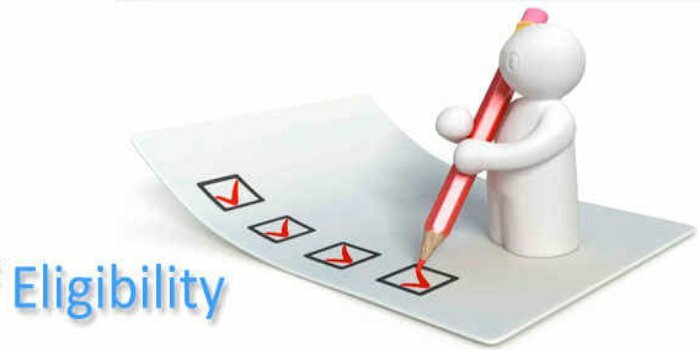 Read below to know more about KVPY eligibility criteria of SA, SX and SB streams including required qualification and category wise percentage requirements. Aggregate 75% for General, 65% for SC/ST/PWD in Maths and science subjects in class 10th exams. Aggregate 60% for General, 50% for SC/ST/PWD in Maths and science subjects in class 12th exams. One must be enrolled in the 11th class with science stream during the year 2019-20 to apply for KVPY SA stream. As per eligibility criteria of KVPY, He/She must be secured a minimum of 75% (65% for SC/ST/PWD) marks in aggregate in maths and science subjects in class 10 examinations. Under this stream, the fellowship is awarded to selected students only if they join an undergraduate course in Basic Sciences (B.Sc./B.S./B.Stat./B.Math./Int. M.Sc./Int. M.S.) in the academic year 2021-22 and they must have secured a minimum of 60% (50% for SC/ST/PWD) marks in aggregate in Science subjects in the class 12 Examination. During the interim period of one year, students will be invited for the National Science (Vijyoshi) Camp and their travel and local hospitality expenses will be sponsored by KVPY. They must be scored a minimum of 75% (65% for SC/ST/PWD) marks in aggregate in maths and science subjects in class 10 examinations to fulfil SX eligibility criteria of KVPY. To be eligible for fellowship, selected students will have to join undergraduate program in Basic Sciences (B.Sc./B.S./B.Stat./B.Math./Int. M.Sc./Int. M.S.) in the session 2020–21 and they must score a minimum of 60% (50% for SC/ST/PWD) marks in aggregate in maths and science subjects in 12th class exams. Students studying in the 1st year of an undergraduate program in Basic Sciences (B.Sc./B.S./B.Stat./B.Math./Int. M.Sc./Int. M.S.) during the academic year 2019–20 can apply for KVPY 2019 exam. They must be secured a minimum of 60% (50% for SC/ST/PWD) marks in total in maths and science subjects in 12th class exams. To obtain fellowship, selected students must secure 60% (50% for SC/ST/PWD) marks in the 1st year final examination of their undergraduate program. Selected candidates after the interview will be eligible to get fellowship only after getting enrolled in an undergraduate course in basic sciences which includes B.Sc./B.S./B.Stat./B.Math./Int. M.Sc./Int. M.S. As per eligibility criteria of KVPY 2019, these courses should be in any of these trades: Chemistry, Physics, Mathematics, Statistics, Biochemistry, Microbiology, Cell Biology, Ecology, Molecular Biology, Botany, Zoology, Physiology, Biotechnology, Neurosciences, Bioinformatics, Marine Biology, Geology, Human Biology, Genetics, Biomedical Sciences, Applied Physics, Geophysics, Materials Science or Environmental Science. Aggregate 60% for General, 50% for SC/ST/PWD in Maths and science subjects in class 10th exams. Candidates who fulfil the eligibility criteria of KVPY 2019 will be eligible to apply for the exam by filling of application form online using KVPY login account. To know the step by step procedure to fill the application form, check the detailed article How to fill KVPY application Form 2019. KVPY syllabus consists of four sections to test candidates thinking ability. Its syllabus covers the topics of physics, chemistry, mathematics and biology from the NCERT syllabus till class 11 and 12. As per KVPY exam pattern 2019, the total of 80 questions are asked in SA stream and for SX/SB stream, the total number of question in the exam is 120. Candidates preparing for KVPY 2019 must go through the syllabus and exam pattern of KVPY and analyze them. After reading, practice is the main thing to remember topics easily. Candidates should practice KVPY question papers 2019 to analyze their preparation. These question paper will make them aware of marking scheme, exam pattern and typology of questions. After practising this, candidates should attempt KVPY mock test 2019 to analyze their preparation by solving it in stipulated time. know tips and tricks to ace the exam by clicking on the link given above. Q1: How to know for which stream a candidate is eligible? Q2: What are the minimum marks required to apply for KVPY? Ans: One should have an aggregate 75% (65% for SC/ST/PWD) marks in Maths and science subjects in class 10th exams for SA/SX streams and for SB stream, one needs to have 60% for General, 50% for SC/ST/PWD in Maths and science subjects in 12th class board exams. Q3: Can class 11 students apply for KVPY? Ans: Class 11 students can apply for KVPY exam under its SA stream if they fulfil the eligibility criteria of marks. Q4: Can class 12 students appear for KVPY? Ans: Yes, students enrolled in class 12 can appear for KVPY exam under its SX stream. He/she should have 75%(65% for SC/ST/PWD) marks in aggregate in maths and science subjects in class 10 board exams. Q5: Can I give KVPY after 12? / Can 12th pass apply for KVPY? Ans: After class 12, if a candidate is enrolled in 1st year of an undergraduate program in basic science then he/she can apply for KVPY if he/she has the required marks. He/she will appear under SB stream of KVPY.